Book your consultation with Dr. Simon to ask about the Quanta Discovery Pico laser treatment and see if it’s right for you! The first picosecond laser to include a Ruby 694nm wavelength for removal of notoriously hard to treat light blue and green pigments. True lasers rather than alternative dye converter options. How does the Quanta Discovery Pico procedure work? 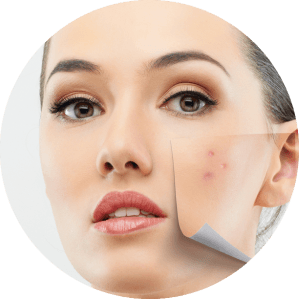 Quanta Discovery Pico laser focuses on your problem areas whether it’s brown spots, sun damage, freckles, pigmented lesions or acne scars.Quanta Discovery Pico offers a gentler treatment. In the past, lasers have relied on intense heat energy to remove pigment from the skin, which may be painful and lead to significant skin redness and downtime. 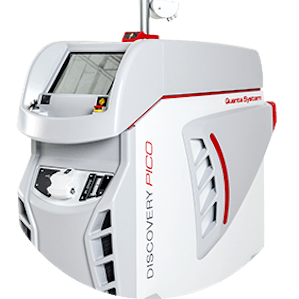 Why Quanta Discovery Pico Laser Treatment? It’s important to consider your options. Face-lifts, fillers, and toxins are associated with significant downtime, risks, and side-effects. Patients often consider these treatments a “last resort.” The first step to achieving a more youthful appearance, or just tweaking some trouble-spots may be Quanta Discovery Pico laser treatment.